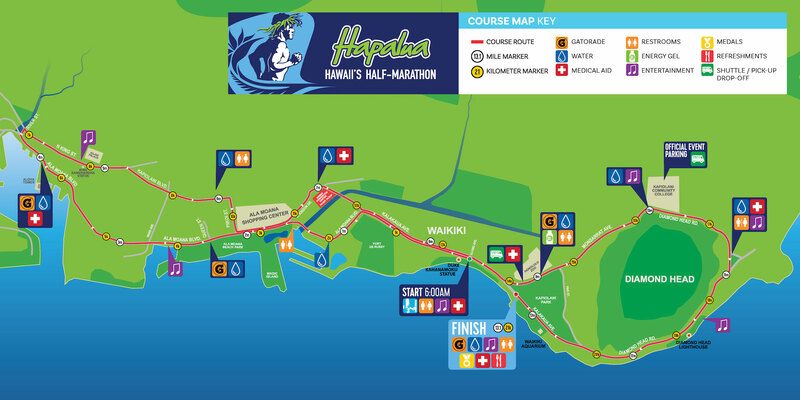 The spectacular Hapalua course starts in Waikiki as the sun is coming up, and takes in downtown Honolulu, returning to Waikiki before going up and around Diamond Head, finishing in Kapiolani Park. You’ll receive your medal in the finisher village in Kapiolani Park where you can also see your finish on the big screen and enjoy the entertainment and awesome post-race food. The race begins at the statue of Duke Kahanamoku on Kalakaua Ave, with runners proceeding in a westward direction. Runners will then turn left onto the makai (oceanside) lanes of Ala Moana Blvd at the intersection of Ala Moana Blvd and Kalakaua Ave. Runners will proceed on Ala Moana Blvd. Runners veer right into Kapiolani Blvd then right on Piikoi then left on Ala Moana Blvd then left on Atkinson. Runners will turn right onto Kalakaua Ave and proceed past the Duke Kahanamoku statue. Runners will veer left onto Monsarrat Ave and head eastward up Monsarrat Ave toward Kapiolani Community College. Monsarrat Ave will be coned to allow contra-flow traffic in the makai lanes with runners on the mauka (mountainside) lanes. No parking will be allowed on Monsarrat Ave. 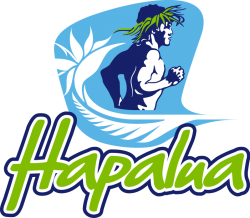 Runners will continue around Diamond Head on Diamond Head Rd to Kalakaua Ave, in a westward direction and finish at the Honolulu Marathon Finish Line.